-> You can group users by their role or by additional custom field values and reset password of that group only. 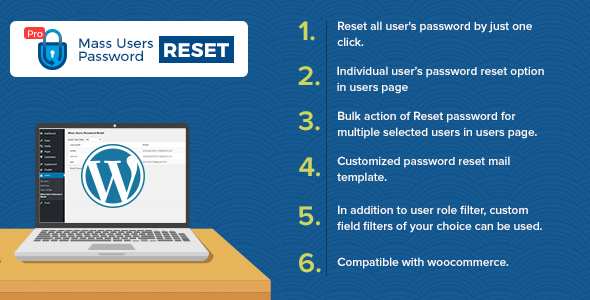 -> Individual user’s password reset option and Bulk action of Reset password for multiple selected users can be done in default users page. -> An email notification containing new password will be send to users and you can customize email template by using predefined placeholders.